Built on an artificial island in the Tokyo Bay is one of Tokyo’s most exciting shopping, dining and entertainment destinations, Odaiba. With its modern waterfront, a giant ferris wheel, the Rainbow Bridge along with manmade seashores, this former fort from the Edo period has turned into a model development area of the future. There is no shortage of shopping options either as several big shopping malls are concentrated within close walking distance from each other. Let us guide you as we’ve prepared a list of places you have to check out to enjoy a day of Odaiba shopping. 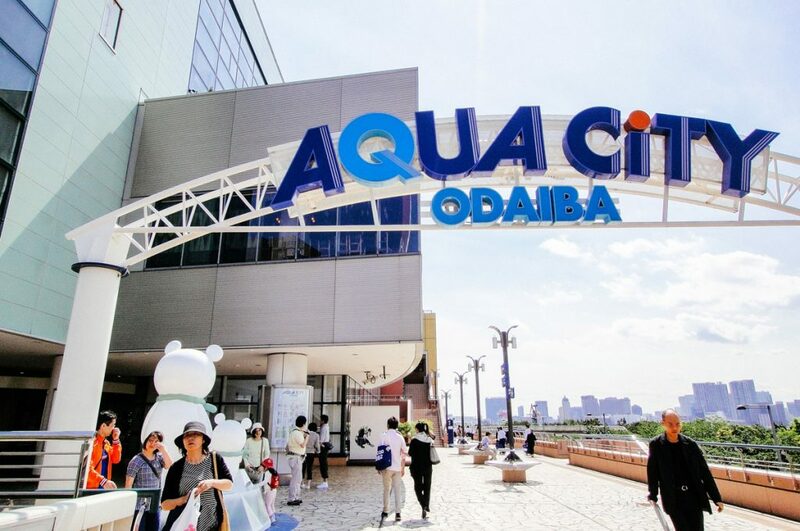 Overlooking the bay and located next to Odaiba Seaside Park you’ll find Aqua City Odaiba, a large shopping complex with over 140 shopping, dining and entertainment facilities. From the wooden decks you have a nice view over the nearby Rainbow Bridge and the Statue of Liberty. Sportswear shops like Adidas, Under Armour and Onitsuka Tiger are lined next to the likes of Godiva and Flying Tiger Copenhagen. You’ll also find a 13-screen cinema complex if you need a break from shopping or go up to the 7th floor and visit the rooftop Shinto shrine and enjoy the splendid view of Tokyo Bay. Tokyo Craft Town is a special shop where you can buy art candles, glass sculptures and pretty souvenirs. But it’s most unique feature is that you can join a workshop and make your own beautiful art candle, snow dome and many more decorative items. 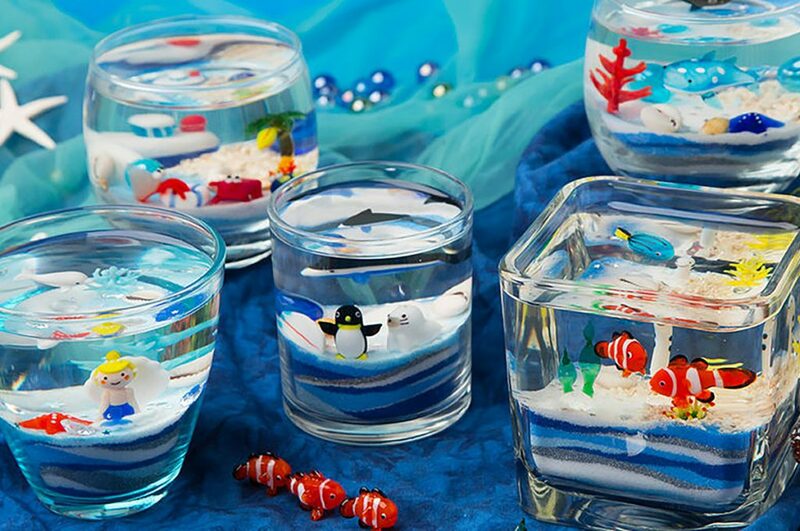 With over 1000 decoration choices, like natural seashells, colorful sand, animals and figures, you can create a limitless array of designs. Create one for yourself or as a gift to someone special. 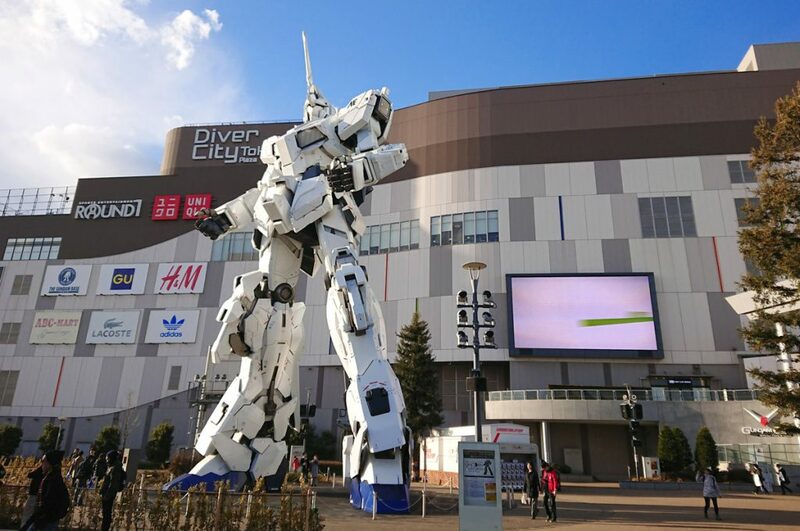 Easily recognizable by the giant Gundam statue waiting outside the main entrance of the plaza, DiverCity Tokyo Plaza is a shopping, dining and entertainment complex with many attractions related to the Gundam anime series. Opened in 2012, this complex boasts 7 floors containing clothing stores such as Laundry and Stussy, high-end fashion brands like Armani Exchange and Japanese souvenir shops. Aside form the food court, you’ll also find a bowling alley, karaoke bar and an arcade. As if it wasn’t already obvious by the gang Gundam statue standing guard outside the plaza entrance, DiverCity Tokyo Plaza is home Gundam Base Tokyo. Based on the popular robot anime series, Gundam Base Tokyo (formerly Tokyo Front Tokyo), is a store offering over 2,000 Gunpla (Gundam plastic models) products with store exclusives not found elsewhere and reissues of older Gunpla models. The shop is divided in a shopping section where you can find your favorite Gundam models, a workshop section where you can built your Gundam model and even a booth where you can have your model painted and styled by professionals. Next you’ll find a museum where machines and molds used to create the models are on display and at the gallery section every Gunplay model (since 1980) is on display. 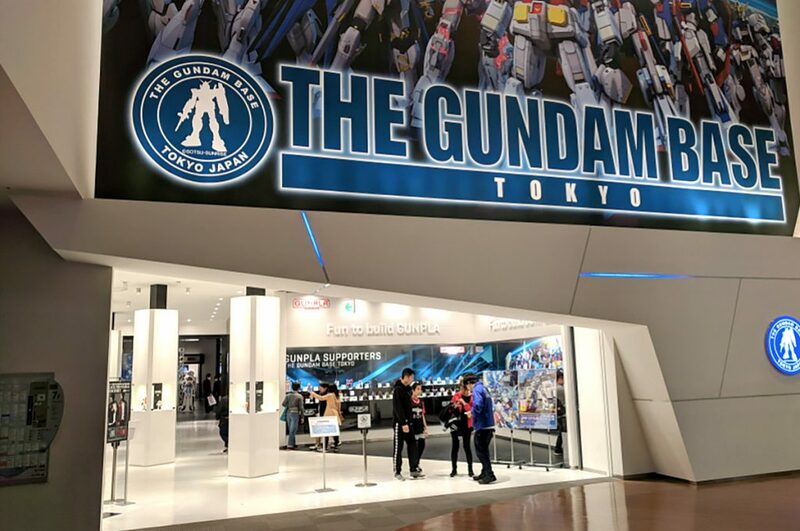 Also, located on the second floor is Gundam Cafe where you can enjoy Gundam themed food and drinks and at Strict-G you can shop for Gundam-themed clothing. The epitome of cute, who doesn’t know Hello Kitty, the kitty with its iconic red bow. 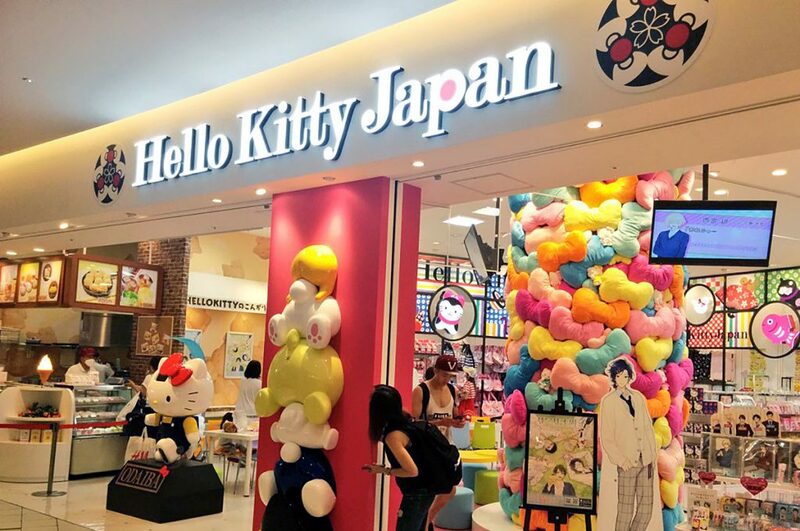 As the most recognized Sanrio character, Hello Kitty Japan is a whole store dedicated to its most beloved character. Shop for stationary, a plush doll, tableware or even Hello Kitty face masks, there is no merchandise you can’t find here. Just next to the store is a small stand that sells Hello Kitty shaped snacks to fulfill your sweet tooth. Themed after a ship, one of the most characteristic features of Decks Tokyo Beach are its many wooden decks. Lined with cafe’s and restaurants, it’s the perfect place to hang out during the summer. 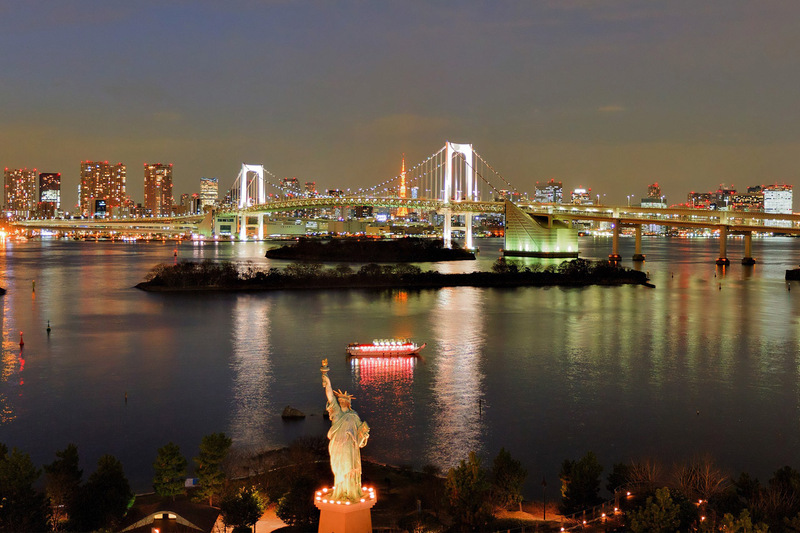 Stroll along the decks and take in the impressive view of Tokyo Bay. 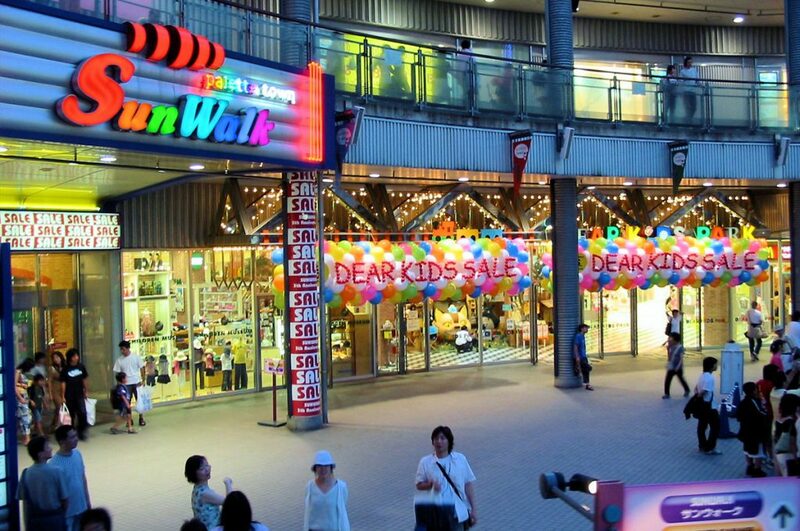 Inside this large shopping mall you’ll find some 90+ specialty shops selling everything from fashion to interior good. Entertainment offers like Madame Tussauds, LEGO Land Discovery and amusement park Tokyo Metropolis make Decks Tokyo Beach a perfect destination for a day out in the bay. If you’re a cat lover you might wanna stop by Cats Livin, a combination of a cat store, cat cafe and cat theme park. 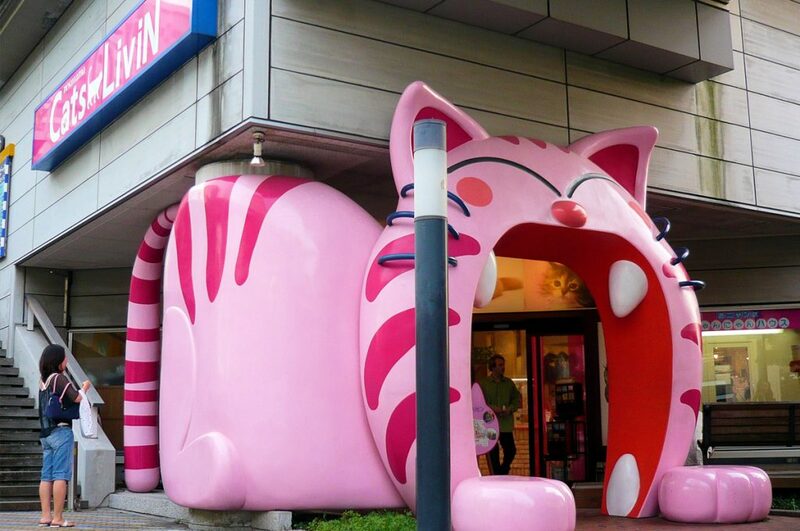 When you arrive at the store, you know you’re in for something different as a huge pink cat with a gaping mouth as the entrance welcomes you to the store. In the cat store you’ll find every cat-themed product imaginable. Head over to the cat cafe, choose some toys and play with the many cats or stay at one of the themed zones. If you visit Odaiba Icchome Shotengai, it feels like you’ve been transported back to an urban neighborhood of Tokyo during the Showa period. Retro cars, vintage posters, old arcade games, old traditional snacks, a nostalgic atmosphere of a bygone era fills the air. 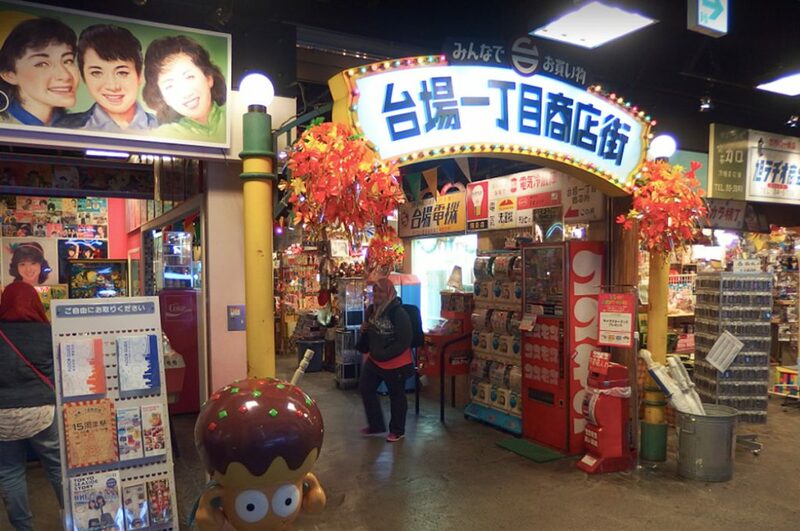 Stock up on some retro-kitsch tin toys or buy a traditional Japanese gift for a friend, Odaiba Icchome Shotengai is a unique shopping experience while you stroll down memory lane. There’s even an old arcade center, a shooting gallery and a ghost house somewhere. Palette Town is a large shopping and entertainment complex split into several areas. You’ll find a huge number of fashion stores and fine restaurants. If you have pets, walk over to the Sun Walk to find all kinds of pet shops. Ride one of the biggest ferris wheels in the world, sing your heart out at the karaoke bar or try your luck at the casino. The Toyota Mega Web store showcases Toyota’s latest concept cars and technology, you can even test drive one of the many cars available (a Japanese drivers license is needed). At Leisure Land you can find a bowling alley, arcades and games and pool halls. Palette Town offers shopping and entertainment options for the whole family. 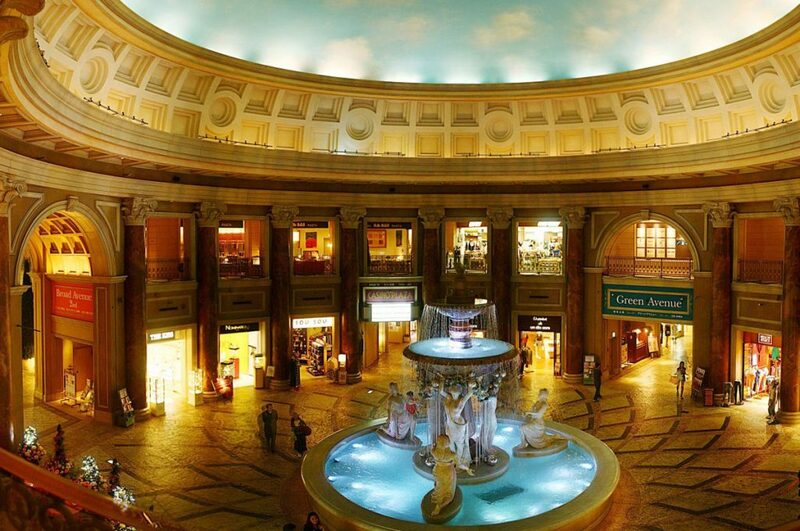 Designed to look like a 18th century Rome, stepping into Venus Fort instantly makes you forget that you are in Tokyo. Renaissance influenced store fronts, faux marble columns, terra cotta, hanging lanterns and potted trees, the details are immaculate. Enjoy the beautiful fountain centerpiece and gaze at the changing indoor sky above thanks to advance lighting techniques Venus Fort is divided in 3 floors, the 1st floor, Venus FAMILY has shops catering to families with shops selling baby clothes, furniture and lifestyle goods. The 2nd floor, Venus GRAND, offers branded stores like Tommy Hilfiger, Nike, Desigual and Musee de Peau. On the top floor you’ll find Venus OUTLET, where you can shop for fashion, fashion goods and lifestyle goods for a great price. You’ll also find a food court on this floor. Odaiba not only allows you to shop to your heart’s content but also delivers world class entertainment options to make your shopping experience that much more enjoyable. 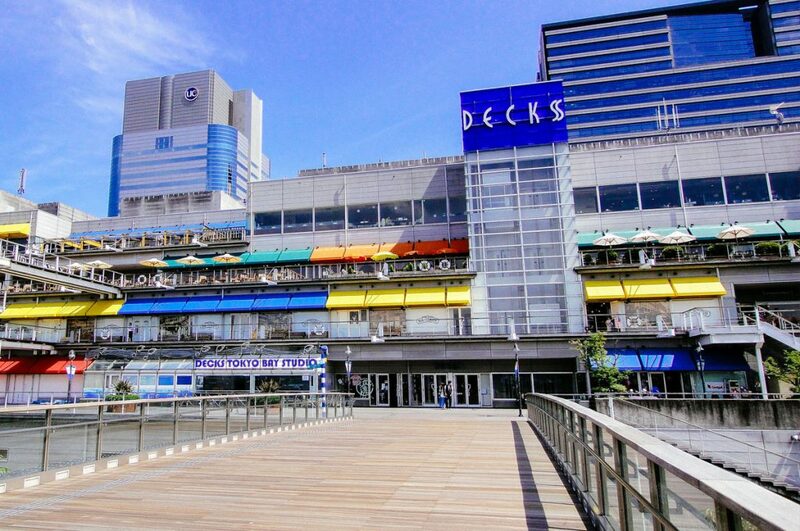 Stroll along the wooden decks, feel the breeze of the Tokyo Bay whilst enjoying the magnificent view and shop till you drop, Odaiba shopping doesn’t get any better than this. Have you been Odaiba shopping? 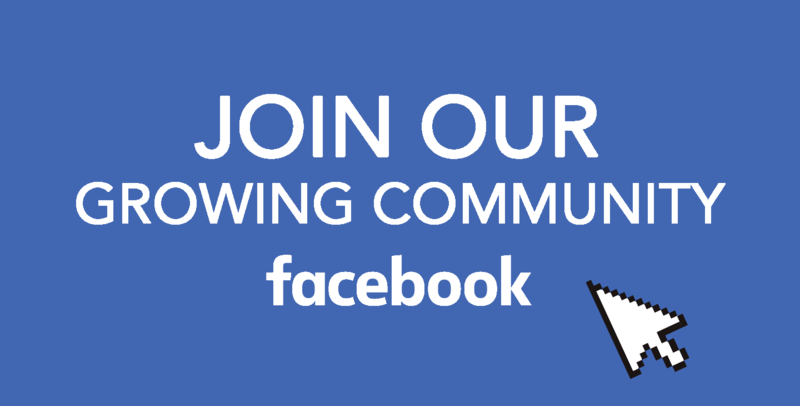 Share your experience on our Facebook Group. Don’t forget to follow us on Instagram, Facebook, and Pinterest! See you again next time for more cool Japan news!